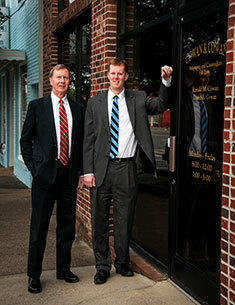 Lawyers Ronald M. Cowan and David E. Cowan have over 50 years of combined experience practicing law in the state of North Carolina, almost all of which has been in Cherokee and surrounding counties. Our office is conveniently located within one and a half blocks from the Cherokee County Courthouse. Please contact us for more information.